There’s a big difference between humans and computers. Humans have feelings. They often act emotionally, but think they’re rational. In our experience, many investors are overconfident in their investing ability. When combined with a lack of investment education, overconfidence can be the perfect storm. Overconfidence can cause you to follow a strategy that’s likely to reduce returns and underperform comparable indexes. There’s a wealth of data demonstrating stock picking, market timing and trying to select outperforming actively managed funds is not an intelligent or responsible way to invest, yet the majority of Canadians continue to pursue these strategies. A competent financial adviser will dissuade you from taking action likely to cause harm to your returns. We do this by formulating an investment plan, consistent with overwhelming academic evidence, revisiting and revising the plan when life events change and working with you to ensure adherence. When the market is going up, this isn’t difficult. It’s far more challenging when the market tanks, and emotions kick in. That’s when investors need dispassionate, objective advice. Patience, perseverance, and persistence aren’t exciting, but they’re the keys to a successful investing experience. 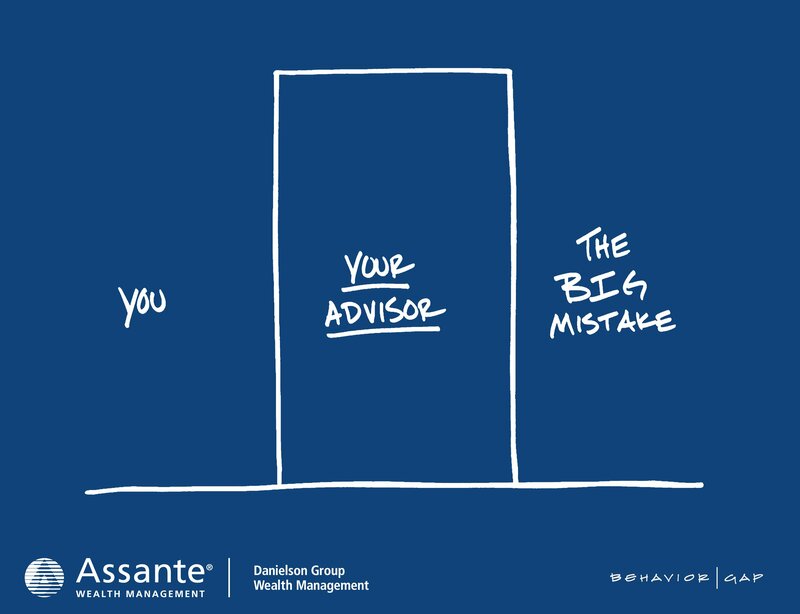 At Danielson Group Wealth Management, we see our role as helping clients stay the course and keep their focus on the big picture.